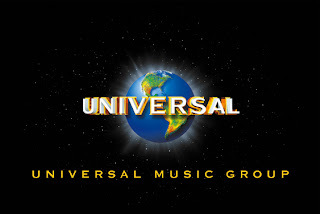 Universal Music Group announced yesterday that it would experiment with DRM-free music sales for the next four months. The music will be available through RealNetworks, Amazon, and Wal-Mart. This announcement is surprising considering the music publishing group's tenacious hold on its content, but makes perfect sense as the publisher attempts to move away from Apple's iTunes stranglehold. This idea has been incubating within Universal for some time, as shown by their refusal to renew their exclusive content partnership with iTunes. This conflict over content partnering and DRM-free music underscores a highly volatile paradigm shift occurring between content creators, distributors, and consumers. With wider distribution networks (think the Web, music/video on demand infrastructure), the value of high quality content has increased dramatically. The explosion in web mashups demonstrates the value of reliable and high-quality content. Great mashups simply cannot be created with poor data—content is king. Ultimately, the future will show that owners of high-quality content will reap outsized returns as distribution networks grow with the expansion of the web and ways to use data. The distributors of content, however, will be pressured by razor-thin profit margins, as they provide little additional value, face several competitors, and offer identical services. While the Web 2.0 revolution has created thousands of useful applications of data and social connectors, it has distracted us from the common-sense fundamental that content is king. I can't think of a greater torture than sifting through YouTube videos in search of something worthwhile. At the end of the day, he who holds the gold makes the rules, and that is the content owners. Universal is characteristic of many companies stuck in the world of old-media and currently ignoring the distribution possibilities of the web. The company has been paralyzed by ineffective management, lack of foresight, and a hostility toward technological change. The appearance of peer-to-peer (P2P) (e.g. Napster) networks in the 1990s as a distribution model shocked the content publishing industry, as it turned their business model upside down. While P2P was seen as a threat, it represented a tremendous opportunity for content publishers. Unfortunately for them, Apple had the foresight and the technological chutzpah to engineer iTunes, a hugely successful media distribution platform which become the third largest music retailer in a short few years. Sales have been growing at around a 80% clip, with music sales topping 3 billion songs and surpassing Amazon and Target in unit sales. What's wrong with this picture? The era of retailing is over for goods which exist in the ether and are produced at a marginal cost of zero. With the web, content producers and consumers have moved closer toget her, wringing out inefficiencies created by distributors, retailers, and partners. The web makes communicating with your customers a personal one-on-one experience. A content provider adopting the direct producer-to-consumer model will achieve results in two distinct ways. By eliminating the third party distributors, the creator collects the full retail value of sales, boosting profit margins and generating more cash for growth. Secondly, consumers can also benefit from lower prices. This is a critical-mass market-share game, with a tremendous first-mover advantage. The ability to charge lower prices on the consumer end, while maintaining decent profit margins at the firm, allow the consumer to reap the benefits of competition. Both producers and consumers win. Case in Point: I can't demonstrate this idea without mentioning Rupert Murdoch and his successful $5 billion bid for Dow Jones. 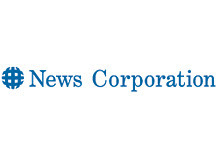 How can NewsCorp justify paying a nearly 60% premium for Dow Jones? Great content, for which the Wall Street Journal is renowned, wasn't being maximized in terms of economic value under the Bancroft ownership. Distribution was average, and with his vertically-integrated media empire, Murdoch will control the content and distribution, eliminating unnecessary payouts to third party distributors (think of this as the despised traffic-acquisition costs that plague internet infrastructure companies such as Google and media companies such as Yahoo!). By leveraging WSJ content across all NewsCorp properties, the value of that content increases dramatically. So what? This isn't academic banter or a mere thought-experiment. I will recommend two chief strategies for Universal to pursue to collect the golden eggs that their goose laid. Distribution Platform. Universal needs to dethrone the iTunes hegemony and create a device-neutral web-based application to manage and distribute their content. 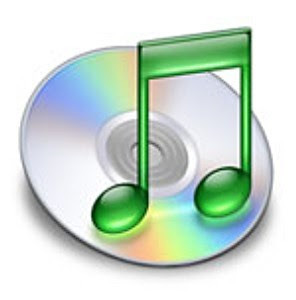 The high cost of iPods has limited the market for portable music downloads. There are several alternative devices offered at less than half the cost, whose adoption could spur online music sales. This distribution platform could be funded by advertising or relevant product promotion in addition to content fees. Integrated Advertising. With new consumer technologies people are increasingly able to filter out advertising on television, radio, and even on the web. By incorporating advertising into the actual product, publishing groups can establish a new revenue stream, benefiting artists and firms. This is of course product placement, but taken to a much more sophisticated level using an auction interface linking similar taste in products and artists. I recently financed an $18 salad at Whole Foods in Mountain View. Nothing else could have made me feel more ill. No, it wasn't the day-old arugula, or the fact that those vegetables were sitting there all day, being bombarded with the germs of hovering faux environmentalists. I didn't even eat the salad. What bothered me that day about the Austin-based grocer wasn't the food, but the insincerity of the entire operation. Does Whole Foods really care about my health, that of the environment, and greater society? They don't…and I don't believe they are obligated to either. Some call Whole Foods a grocery store, but I think it is much closer to a religion or even a cult. They have organic soy milk on the shelves but what Whole Foods really sells is absolution. The sacrament of faux environmentalism can be fulfilled by merely making a purchase at your local Whole Foods. It doesn't matter that you drove an SUV all day to get there, because at Whole Foods you can buy fair trade coffee, put it in a recyclable knapsack, and feel good that you bought something from what is supposed to be one of America's best companies to work for. That's the perfect antidote for years of spewing carbon indiscriminately into our atmosphere. The consumer drives away with a clear mind, only waiting for the next opportunity to absolve himself on his next shopping trip. Whole Foods is much like organized religion—it's a way to feel better about your misdeeds, and psychologically erase external costs imposed on others and the environment. The Whole Foods website boldly proclaims, "We earn our profits every day through voluntary exchange with our customers." Wow, that's a really profound idea—but I kind of remember Adam Smith saying something like that in 1776. Their website also touts their enlightened environmental practices and commitment to some form of social responsibility beyond economics. There seems to be some disagreement between Whole Foods and the Austin Chronicle on the social issues. The Chronicle has repeatedly documented cases of supposed "union-busting" and rocky employee relations. Whole Foods is not the earth-loving-sustainable grocery store that you might think, and never was intended to be from the day it went public. Next time you shop at Whole Foods, do so because they offer great products and a comfortable atmosphere, not because they “really care” about the environment or social responsibility. Over the last week, three web giants reported earnings. The business press typically focused on the Yahoo! vs. Google battle over the enormously lucrative search market. Yahoo! once again posted lackluster results and a relatively stagnant share of the search market, while Google pushed forward with decent revenue growth, but failed to exceed expectations of profits as hiring costs increased slightly. This seems to be the story of the last several quarters: Google is growing more quickly than Yahoo! and even a management shake-up at Yahoo! hasn't inspired much investor confidence in the company. What's wrong with this story? Well, it completely ignores another web giant, Amazon, which has climbed a stunning 113% since January. This week Amazon reported great earnings and the market value shot up 26%. Amazon's results are impressive seeing that Yahoo! is down 6% and Google is only up 10%. What's going on here? The paradigm is changing. Search is the bread and butter of the internet companies now, but the battle for the search market has largely been won, and it is only one small battle in the war for web dominance. In the near future the battle will be about infrastructure, services, and high-quality content. Is Google a search company? The obvious answer is yes, as nearly 99% of their revenues come from search advertising. A more astute and informed answer, is no. Google is not a search company--it is an infrastructure and web services company. Their superior search technology and the creative thinking of Bill Gross (Bill Gross invented textual search advertising with Overture, which Yahoo! subsequently bought) has provided Google with a phenomenal profit driver over the last several years, enabling them to amass a war chest of cash, amounting to $12.5 billion in liquid assets, just over half of Microsoft's cash and short term investment position. Make no mistakes, Mr. Schmidt, Google is rivaling Microsoft by encroaching on its traditional operating system and productivity applications turf. The Google infrastructure has created what will be a web operating system which will render Microsoft's costly and complicated line of operating systems ancient history. Google has created an infrastructure for web applications that will rival the Redmond giant. The game is not only about search, but about the web operating system of the future and all the applications that are built around it. What about Yahoo!? While Yahoo! learned how to monetize search well before Google, they have failed to capture hearts and minds. From the day Yahoo! began, it has been a portal, or a place to explore interesting areas of the web, editorialized by humans. There is no doubt that there is a plethora of valuable information contained in the Yahoo! directory, but their approach to the web is much different than Google's. Rather than taking the bottom-up approach and letting others be responsible for content and its organization, Yahoo! has taken the top-down approach to organize and provide content. Yahoo! is akin to an online newspaper or distribution platform in this way, as it prints third party content and hopes to make a profit on the difference between the cost of content and what advertisers will pay. See this post for more background on the importance of owning content in the media business. The third major and often overlooked player in the consumer web space is Amazon. With Amazon's presence as one of the first most successful etailers, it doesn't receive the same credit that Google or Yahoo! do because much of their business is based in the terrestrial form, requiring shippers and inventory accumulation. Recently CEO Jeff Bezos has transformed Amazon into a web services and content hub. Amazon's web services strategy includes selling data storage and computing power to developers through the S3 program and Elastic Compute Cloud. What is important about S3 and web services is that Amazon is building the future of the web as more and more applications moving online through the software-as-a-service model. Additionally, Amazon's foray into high-quality content rivals iTunes as a destination for media. With the Unbox initiative consumers can download video directly to their machines, bypassing trips to the store and restrictive iTunes device management strategies. Conclusion: Despite the hype and cheerleading surrounding Yahoo! 's Panama upgrade to their search monetization, it's unfortunate for the firm that the game is no longer exclusively about search. What is relevant is web dominance through a web operating system and building infrastrucutre to host future web-based applications. Along with this is high-quality content available on demand, something that both Amazon and Apple's iTunes seem to understand very well. Almost two weeks ago, Apple launched what has been proclaimed to be a revolution in mobile telecommunications. Since the January announcement of the device, the media blitz surrounding the iPhone created such hype that it was impossible to exceed expectations. My guess is that those who shelled out as much as $800 for the phone and accessories may be experiencing the classic winner’s curse. While there is no question that the phone has created a new paradigm for mobile creators and employs an exceptionally intuitive user interface—my issues with the iPhone are that it is difficult to use from a physical standpoint and most critics appreciate it for the wrong reasons. The virtual keyboard / keypad makes the phone a hassle to use. 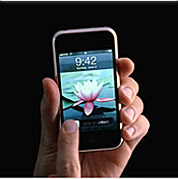 Did Apple completely ignore the anatomy of the human phalanges? The keys are far too close together for rapid typing or even punching in a phone number. The result is frustration and frequent use of the backspace button. I am not an iPhone owner because I am not willing to sacrifice keypad input speed for style. Lastly, the reason the iPhone is interesting isn’t because it’s a sleek looking must-have device. With a fully-equipped web browser, Safari, Apple may reignite the browser wars, and has the power to change the tremendously lucrative world of search. With control over the search box on the iPhone, Apple could feasibly challenge major search providers, or sell the exclusive search rights for the device for a hefty sum. Here is a great article on Box-It-Up Storage written by Linni Kral, a reporter with the Oxy Weekly. It's great to get exposure in student publications, even if she also featured a competitor. Take a look at the article below or access it live here. The online video space has become crowded in the last year or so, with several companies offering user-generated content. User-generated material is great, but it just doesn’t stack up against the big producers in terms of overall quality and enjoyment. The popularity of this content comes from the fact that it is free to publishers and they are really seeking to maximize pageviews rather than an optimal media experience. Don’t get me wrong—a lot of the stuff on YouTube is extremely creative and is enabling a wider distribution of independent productions such as Lonelygirl15 that deserve the airtime. The truth, however, about user-generated material is that most of the content on there isn’t worth your time. Now comes Joost, from the creators of Skype and KaZaa, which promises to revolutionize video on the web…and it will. 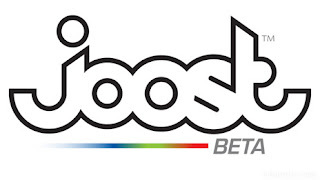 Joost is an on-demand internet TV service with premium content. Founders Niklas Zennström and Janus Friis have revolutionized how we communicate and share information with each other. Funding for Joost comes from the $2.6 billion they got from eBay in 2005 after the Skype acquisition. Earlier this year Viacom agreed to provide much of their content for the Joost disribution platform, including MTV, BET, and Paramount stuff. Overall, we give Joost a thumbs up, as it incorporates rich highly-produced old-media content with the power of the web, using both chat and search functionality. On the negative side, we couldn’t get some of the widgets to work and it generally takes up a lot of bandwidth, making it hard to run on wireless with other users. Check out some screenshots below. Why is user-generated content so popular? It’s not the demand side that is driving its ubiquity. In fact, something like 99% of blogs out there are read by only one person, the creator. Most user-generated content is drivel, with the exception of the occasional clever clip on YouTube or great blogentary. The reason why there is so much user-generated content is because, well, it’s free, and free is good. So far, new media is about distribution, not creation. Blogger and Google Search are great ways to share and access information, and the benefit for Google is that this content has no acquisition cost. Google’s $150 billion valuation is based on the idea that content should be free, and will continue to be free in the future. 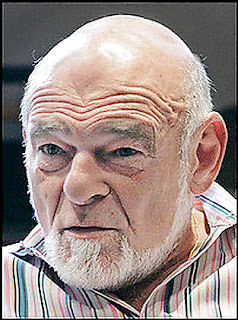 Sam Zell (yes, that is what he really looks like) sees it another way. In a speech delivered to Stanford Law School last week, Zell asked, “If all of the newspapers in America did not allow Google to steal their content, how profitable would Google be?” I grudgingly agree that Zell has one thing right. Distribution is a commodity and Content is King. YouTube’s dramatic rise is based off stealing others’ intellectual property, and as demonstrated by Viacom’s cease and desist order. Content developers won’t allow this perpetually. User-generated content has a place, but is not a substitute for high-quality material. Yahoo is aware of this problem and is partnering with content developers rather than obliterating them. Netflix is aware of the issue too as they battle to tie up content to win customers in the race for more Netflix logins. Google seems to take a more arrogant stance, but the question remains, once Google runs old media out of business, where will they get content? Sam Zell, the billionaire real estate mogul must be pleased with himself: He managed to get his face on every major newspaper across the country. I'm sure his exuberance will subside once he realizes that he won the bidding war for Tribune Co., the lagging media conglomerate which is sinking deeper and deeper into irrelevance every day. The deal is valued at $8.2BN and Zell purportedly has the goal of making a profit. It's not that newpapers don't make a decent profit, but that they operate in a rapidly contracting market. In just a short 15 years, the baby-boomers will be qualified geriatrics with significant vision impairment, likely unable to read the pages of the LA Times. And the younger generation? I spending 100% of my time around college students, and I cannot recall the last time I saw one reading an actual paper. Three simple letters: RSS. While the exact meaning of the acronym has been debated, the results of the technology have not. Newspapers are forever gone. I wish you luck Mr. Zell. Here is a useful application of a very simple technology. Ever get a late payment on your credit card? Tired of paying the bill? Credit card companies have a great business going for them and they are a perfect example of the current war that is being waged on the customer. Terry Gross gave a great interview with Elizabeth Warren, a Harvard Law Professor on how credit card companies optimize their customer abuse department. I've recently developed a way to avoid finance charges while still carrying a large balance on your card. This is a method of deferring payment, possibly years into the future. Basically, the idea is that you can pay your credit card bill by billing your credit card. There are probably several ways to do this, but the easiest is with PayPal. You have to link both your credit card account and PayPal account to your checking account. Say you spent $500 in January and the statement arrives on the last day of the month, but it's not actually due until the last day of February (CapitalOne gives you this much time). You can bill yourself by sending a money request to your PayPal and using your credit card to pay. This will provide you with the cash necessary in your checking account to pay the credit card bill. Essentially it's just rolling over charges into future periods. The only catch is that you can't do this forever because most entry level credit cards have limits of about $5K if you have good credit. You can, however, continue it into perpetuity and avoid a finance charge as long as you keep your balance below the minimum. Meanwhile you can have your actual money (if you have any) earning 5.2% in an ING savings account. As far as I know, there are no rules or laws against this, but be careful not to charge up too much debt or Asta Funding might knock on your door. That's not pretty, from what I've heard. Salesforce.com Inc. is honing in on the financial institutions market, a space traditionally dominated by SAP, Siebel, and shoddy in-house application. This is a space where there is a definite customer pain-point, and Salesforce can solve this problem and generate a significant competitive advantage. The best banks on Wall Street have some of the shoddiest and simply dysfunctional products. These applications are old-school and a huge drain on employee productivity. It's my feeling that Salesforce's wealth management platform will be adopted quickly and eagerly by most of the white shoe firms. Getting Merrill Lynch as a customer for the wealth management platform is huge. William Blair & Co. analyst Laura Lederman explained, "It's not just about the money. Winning Merrill Lynch makes Salesforce.com look more legitimate in the eyes of their customers." This is just more evidence that Salesforce isn't just about CRM--the company is rolling out Salesforce Banking Edition, Salesforce Capital Markets Edition, Salesforce Insurance Edition, and Salesforce Mortgage Edition. Last Friday, Howard Schultz, founder, former CEO, and Starbucks visionary sent a memo to upper management about the “commoditization of our brand” and a dilution of the Starbucks experience. I commend him for offering this so candidly. The truth is that Starbucks has drifted far from its roots in espresso excellence. If you ask a barista, he’ll tell you that he spends more time pressing the hot chocolate button than making any coffee. There’s nothing wrong with that though. In fact, Starbucks isn’t about coffee—it’s about community and being a great place for different people to get together for an informal time. Recently the company has become complacent and stopped innovating, sinking into the category of fast-food or just another café. Howard wrote: “I have said for 20 years that our success is not an entitlement and now it's proving to be a reality. Let's be smarter about how we are spending our time, money and resources. Let's get back to the core. Push for innovation and do the things necessary to once again differentiate Starbucks from all others.” Full text of Howard’s memo can be found at http://starbucksgossip.com/. Success is not an entitlement. It must be won every day with ever single customer. Starbucks changed the world of coffee—that’s innovation. Selling hot sandwiches might pacify Wall Street, but it’s distracting from the Starbucks brand and hurting the company long-run. Let’s go back to the roots, reinvigorate and take a clear look at the future. 1. Go back to the La Marzocco machines in small urban stores with relatively low traffic. This brings back the history and customers appreciate that. For the office jock stores, people pay for speed, so don’t even think about La Marzocco there. Forget the automatic espresso machines while you’re at it—they are the antithesis of the Starbucks experience. 2. Make it a community meeting place. Let’s see a jazz guitar player there, a verse reading session, or something more interactive. This is best for late evening stores. 3. Stop funding movies like Akeelah and the Bee. Artistic film would have been a nice move, or something foreign. Akeelah had absolutely nothing to do with the Starbucks experience. Comments welcome, but any that are off-topic will be removed. Google announced yesterday that’s it’s stepping on Microsoft’s core business. The Mountain View, CA company said that it’s rolling out Google Apps Premier Edition, a bundled package of it’s on-demand productivity applications, including Docs, Spreadsheet, Gmail, and Calendar. It’s targeting large blue chip firms such as General Electric, with whom it already is selling the product. Exciting about this new package is the low cost, at about $50 per user annually. That’s sure beats paying hundreds of dollars for Microsoft’s software, maintaining your own servers, and hiring an IT group to manage it. It’s a tremendous deal, except for one part: Google Apps offer very limited functionality, and for hard-core and extreme users of Microsoft’s Office suite, that’s just not going to cut it. Leaving the security issue aside, Google Apps require significant improvements before they can compete with many of Microsoft’s products. For now I’m sticking with Redmond. Following up our discussion on music and broadcasting models, I’d like to take a moment to offer a snapshot of Pandora, a great music distribution model. I had the opportunity to meet Pandora founder Tim Westergren last month in Salt Lake City at the University Private Equity Summit. He gave a great talk on music and technology. Born out of the Music Genome Project, which analyzed the work of over 10,000 different artists, Pandora is essentially a way to access that database and make it useful for users. Many users call Pandora their personal DJ, and it’s exactly that. When you log on, enter your favorite artist and Pandora will create a station that plays music tailored to your tastes. It takes some time for Pandora to figure out exactly what you like, but that’s part of the fun. It’s funded by graphical advertisements, but you can pay to have those removed if you like. Why is Pandora successful? It’s all about user choice, something that Mel Karmazin at Sirius doesn’t know a thing about. Satellite radio is force-fed content, which totally ignores the user-empowering technology that we have. Consumers will pick the next music distribution model, not media execs living in the old-world. I’d place my bets on Pandora and user-choice. This last Monday Mel Karmazin and Gary Parsons admitted that satellite radio would fail. 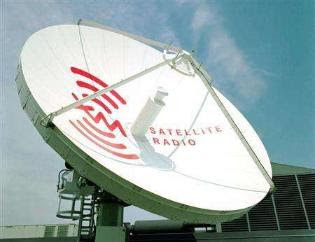 The proposed $11.4 billion merger of struggling satellite-radio operators XM Satellite Radio Holdings Inc. and Sirius Satellite Radio Inc. is an admission their failure in the media space. Sure, there are immense economies of scale in the business, and they can achieve a lower long-run average total cost, but the FCC granted them an outright monopoly in the satellite radio space. Come on guys, get your act together. First they can’t attract enough subscribers to make any money, so they throw a Hail Mary and decide to merge. Remember Mel, if all else fails, just merge. Play around with some corporate finance, hire some bankers, and declare massive restructuring costs to make it look like the decrepit XM SIRI juggernaut isn’t losing as much money as it really is. Time to throw in the towel and sell the only real asset they have—Howard and Oprah. Why did satellite radio fail? 1. Their business did not address a valid customer pain-point. Satellite radio isn’t that much of a technological advancement compared to terrestrial radio. It is an incremental advancement. You still have the ads, and the sound quality isn’t even that great. You couldn’t pay me to put it in my car. The demand isn’t there. 2. XM and Sirius are battling the era of individual choice. People want to choose, what they hear, and have content that is tailored to their tastes. The iPod has nothing to do with force-fed content like XM and everything to do with choice. We are in an era of user driven content, and people want to hear what they choose. That's why they have chosen the iPod. Salesforce.com announced earnings today, coming pretty much in-line with a slight disappointment on the net income side. No worries, though, this is a buying opportunity. The solid subscriber growth is a validation of the power of the on-demand model, their careful attention to customer needs, and the momentum that the AppExchange will bring. Sure the stock is expensive, but that’s because they have made the competition irrelevant. Look at Oracle and SAP. The difference between them and Salesforce.com is the power of the on-demand model. But what makes them a better company than RightNow (RNOW) or even NetSuite? Great companies offer consistent attention to their customers, enabling them with customization, great functionality, and reliable tech support. Sure, with a lot of hard work, these are easy to come by. What gives Salesforce.com its awesome potential is the budding ecosystem of complimentary applications to enhance the core product’s functionality. Individual incentives are at the core of the AppExchange, and sure, Salesforce.com will transfer some revenues to third-party developers by allowing them to sell their products, but in the long run, it will build durable monopoly power. As the ecosystem grows, Salesforce.com can offer that much more to its customers. Continuing this week’s focus on Salesforce.com and CRM providers in general, let’s take a look at NetSuite. Hold on a minute, why CRM? One evident theme is the CRM companies branching out of merely sales and customer management into general business productivity applications, disrupting Microsoft’s model as it has become complacent and virtually ignored the benefits of the on-demand model. These companies are filling an obvious unmet need in the marketplace, which is why we’ve given them so much attention this week. Take my word for it—I’ve seen it on the front lines. At an amazingly successful and well-run company like Goldman Sachs, most applications are developed internally, resulting in shoddy functionality and poor UI. Employees hate it and calling the tech group wastes half the morning for some desk jocks. The CRM companies aren’t about sales or just customer management, but encompass everything from online marketing to payroll. Let’s take a look at NetSuite, a great CRM company based out of San Mateo. NetSuite epitomizes the trend in on-demand CRM provider—they aren’t just a sales and customer management company, but are an all-around full-service business applications provider. Accounting, payroll, e-commerce, and traditional CRM are included in the on-demand package. It’s really a one-stop-shop when it comes to business applications, and makes sense considering their target market for the Small Business product is firms with 20 employees or fewer. They are definitely encroaching on Intuit’s Quickbooks accounting software, which has the greatest market share in that space. The truth is that NetSuite may offer just too much when it comes to small business, where Excel and Quickbooks can do the job. There have been some complaints about their email customer support, which should have been resolved since. Nevertheless, we’re excited for the IPO and hope to pick up some shares if it doesn’t pop too high. Oracle? SAP? What do these companies have in common? For one, they have failed to fully embrace the on-demand software model. This model, known as Saas (software as a service) is making the old model completely irrelevant in today’s on-the-go and increasingly mobile world. Sure, Larry Ellison is the godfather of relational databases in for modern business, but hoards of ex-Oracles have fled the Redwood Shores for Salesforce.com, where the “End of Software” is near. In his usual bellicose manner, CEO and Founder Marc Benioff, has set out to take on his former boss at Oracle. With the stock up over 200% since, the IPO and spectacular subscriber growth, there is no doubt that software on-demand is in high demand. Salesforce.com is a best of breed in this new generation software model. It’s my expectation that their excellence in customer relationship management will expand into other areas, notably accounting, web analytics, and online marketing management. 2. The App-Exchange or APEX will generate significant network externalities. As other developers generate applications for the CRM platform, the value of switching to CRM will increase. Nice history lesson: Apple and Microsoft. Who’s got the marketshare? What could be a better buy than a value-based urban-apparel retailer with huge growth prospects, on sale at a bargain price? Best of all they operate in a niche market and know it well. 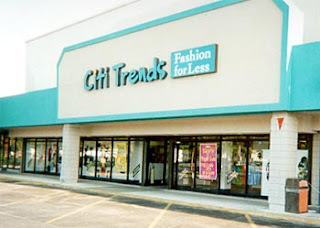 That's CitiTrends, the purveyor of quality threads catering to the lower-income African-American market. Best of all, African-Americans as a group are the fasted growing portion of our non-immigrant population and their purchasing power is expected to grow faster than any other ethnic group aggregated. What's the value in CitiTrends? Hasn't the stock just shot up? Yes, they beat on same-store-sales, a crucial retailing metric, this month--blowing analyst estimates out of the water. But more than that, CitiTrends is expanding quickly in the Northeast U.S., notably the Chicago area. What catches my eye however, is the expansion into the West. If any of ya'll are from there like myself, you'll know that it's the Latino market that is hugely untapped. Wall Street doesn't see CitiTrends' ability to sell the same products to our amigos Latinos. Where Wall Street is blind is see loads of profits to be made. Slightly off topic but consistent, highlighting the growing Latino market and it's importance is to Bank of America is yesterday's WSJ. In the latest sign of the U.S. banking industry's aggressive pursuit of the Hispanic market, Bank of America Corp. has quietly begun offering credit cards to customers without Social Security numbers -- typically illegal immigrants. The new Bank of America program is open to people who lack both a Social Security number and a credit history, as long as they have held a checking account with the bank for three months without an overdraft. Most adults in the U.S. who don't have a Social Security number are undocumented immigrants. I work in web marketing, search, affiliates, and display media.